The Battlefield 1 Beta is now available for Xbox One, PlayStation 4 and Origin for PC. The beta version of the game gives players a chance to test the game before buying it. In this version, only a few maps, modes and weapons will be available. The game is scheduled for a worldwide release next month, on 21 October. Because the game is in Beta version, you might encounter some errors and technical issues on all three platforms that the game is available on. Until now, the most common Battlefield 1 Beta errors that players complained about are on PC, and some of them are Crashes, Fail to Start, Black Screen, Server Issues, Stutter, Freezes and other performance issues and minor issues like No Gun Issue, which can be fixed with some quick workarounds. If you are experiencing your issues on a PC, make sure that you meet the minimum system requirements of the game, you can find them below. If your PC meets all of them, you can go ahead and read our workarounds and solutions in the errors list below to fix your game. Note: The full game will require more space on your hard drive. Below you will find almost all the major issues in the game that most of the players are complaining about at this moment. When you find our issue just go to the Workaround/Solution section and there you will find a corresponding fix. If you have any questions about our solutions or if you don’t know how to apply them to your game, please comment below or use our Support page to leave a question. After that, a member of our team will give you an answer and will help you fix your game! A lot of players are complaining about constant crashes in the game and the most annoying one is the DirectX crash. You start the game and everything is fine but when you get to the “Welcome to your Battlefield…” screen the game crashes and gives you a DirectX function error. To fix the random game crashes and also the DirectX issue just read the workarounds below and apply them to your game. Change default Windows timer to HPET (By default Windows uses different timers in the CPU to calculate stuff. HPET is the newest and best of these timers, but because of default combination of timers, it takes longer time for CPU to keep up all the timers and sync between them. Forcing Windows to use HPET only improves performance, and it will fix your crashes.) Read this tutorial here to enable HPET. If you don’t know how to apply the tips above to your PC, just use our patch, and it will apply those workarounds automatically. For more details and a download link go to the end of the post! Failure to perform CLEAN driver changes every time are how the Windows Registry may get conflicting dates sometimes. There will NOT be any “15-8” software accepted. When anything from then is left over it’s causing this error, you have to go back to square one on graphics drivers. Remove it now, run a Registry cleaner and have it find all AMD/ATI entries and remove them, then reinstall the current 2016 driver after that. Another solution is to disable the origin overlay from the game properties. To do that follow the steps below or watch this YouTube video here. Right-click on the game in the Origin client. A few moments after the game launched, players were unable to connect to the servers. This was a major issue in the first hours of the release. You can read a more detailed post about the Battlefield 1 Beta Server Issues here. It seems that now players are not complaining about this issue anymore but if you are still encountering it try to apply one of the tips below and see if it works for you. Check your NAT settings. If you’re using a strict NAT type, you might encounter networking and issues partying up with other players. Using an Open NAT type on your system might solve your issues. If you are getting this message You have lost connection to the EA servers, the servers are currently down, and there is nothing you can do to fix it just wait until they come back up online. Some players reported an issue where you are spawned in the game with no weapon. You don’t see any weapon, and you are unable to shoot, use grenade or melee attacks. To fix this issue, you can follow the solution that a player gave on the Battlefield 1 forum, or you can apply the workaround below that a member of our team tested. Heres RDxKa0s’ solution, I went over to simply Logging into BF.com>navigating to the BF1 loadout>empty all my character loadouts… and save… Nothing equipped! no gadgets, no grenades, no weapons> then to play a game.. finish… after I went back to Loggin Bf.com/navigate to bf1 loadout> select all my defaults again> save> play game. This is the my solution, might not work for everyone, but its a step in right direction for average joe PC gamer, for now. I really hope it helps, I can indefinitely relate, trust me! and wish you Best of luck on the Battlefield!! 1) While in the spawn screen look to the bottom left and click the “customize” button. 2) In that menu, all your weapon slots will be along the left side. Click the “Primary“. 3) Follow up by clicking the rifle that shows to be unlocked. 5) Repeat for other weapons and gadgets they have available for the beta. Because of multiple launch issues, the game is unable to start. Some of these issues are startup crashes, DirectX launch error and some players reported that the game simply wouldn’t start when they try to open it. To fix the DirectX issue follow the workaround in the first step, in the crashes section above. To fix the startup crashes and other launch issues follow the solution below. Solutions for launch issues: The best solution to fix your launch issues, either if they are crashes or nothing appears when you try to start the game, is to use our patch and apply it to your game. It will recognize your launch issue and apply the corresponding fix to your game, after that you will be able to start Battlefield 1 Beta and play it. For more details on how to use our patch follow the tutorial at the end of the post! Players are experiencing some bugs where they don’t receive any XP at the end of the post and they are unable to progress their class or different weapon classes. For example, a player reported that he reached level 9 but the weapons level was still 0, because of that he is unable to unlock any new weapons or gadgets and it’s frustrating. Also, if you stay in the same server for more than a few matches it will not count your progress. So quit and rejoin at the end of every match. Also, I am not sure if it is a bug or on purpose but none of the “tracked medals” works either. You can select a medal to track but you never make any progress. Solution: Some players say that this is a feature, not a bug. Leveling up classes in the beta is just much slower than many people would like. This means that if you want to unlock all the weapons of the class, it requires some dedication. 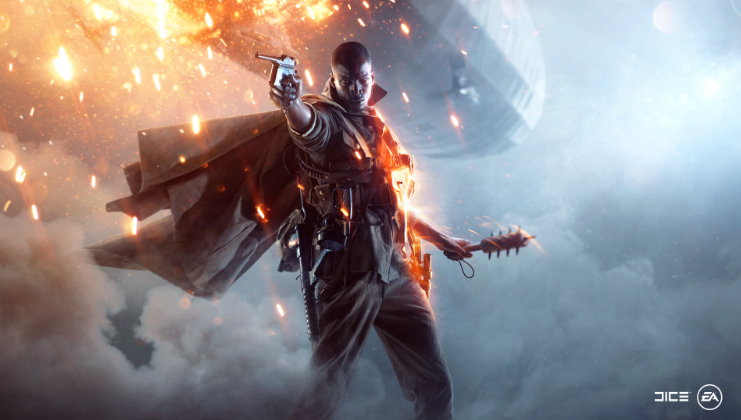 You can also try to go to Battlefield.com and to the BF1 loadout page under “Careers” and you will be able to see the real progression for each class because sometimes there might be some server issues and that’s why your class won’t progress. I am having this issue as well. On both Rush and Conquest. Just a rotating wheel until the next round starts. My XP is counting and I’m ranking up, just don’t get an after action report. A lot of players with high-end PC’s like the guy above, GeForce GTX 970 and i7 with 3.4 GHz, are complaining about performance issues in the game. They encounter problems with the fps or the game randomly freezes (locks up) and some other times the game is impossible to play due to the annoying stutter. These players tried to lock the fps to 60 and to lower the game graphics to a minimum to see if the game performance will improve but nothing worked. It seems that the game is just poorly optimized for PC. To fix the performance issues of Battlefield 1 Beta and optimize your game follow the workarounds below. The first and most important thing that you need to do is to update your graphic card (here are the links for each GPU: GeForce, Radeon), if you don’t know what GPU you have exactly or if you don’t know how to update it, use our patch to do this automatically. Check the tutorial at the end of the post for a download link and more details! To fix the AMD Driver Issue follow the steps below. Click windows + R and type regedit. If you still encounter performance issues after applying the workarounds above you need to use our patch to optimize the game and get a constant frame rate. For more details check the tutorial below! Are you trying to play the new Battlefield 1 Beta and you are unable because of annoying issues and bugs? Don’t worry, our team will help you fix all of them and you will play the game in a few minutes. You are here because you probably encounter one of these errors Random Crashes, Performance Issues or you are unable to start your game. If you have one of these issues don’t worry anymore because we will help you fix them in the next minutes. So just sit back, relax, follow the tutorial below and in 10 minutes you will be playing the beta version of Battlefield 1. Our team of developers released a patch to help you fix these annoying issues. Below you can see a picture of how our patch looks like and what it does. You will also find a download link and a tutorial that will help you step by step to apply the patch correctly to your game and fix your issue. For your knowledge and safety: our patch won’t interfere with your Origin account, it will just change some files and .dll’s in the game folder for the errors to be fixed. Select the game executable from the game folder, if you used the default Origin install folder it should be: “C:\Program Files (x86)\Origin Games\Battlefield 1 Beta”. How to download: Well, you might think that our download service is pretty annoying but is very effective. To download you just need to complete a simple offer, it usually takes a few minutes, and after that, you will be able to download the patch. We use this service because is the only way to support our developers and to keep releasing and updating patches for games. Thank you! We hope you understand us and have fun playing Battlefield 1 Beta! I am not sure if it is a bug or on purpose but none of the “tracked medals” works either. You can select a medal to track but you never make any progress.